I am not opposed to the UUT tax increase because I am opposed to Sierra Madre having adequate revenues. Rather, I am opposed to it because I am in favor of common sense and simple math. The simple math is this: Government revenue from any tax is a function of two factors – tax base and tax rate. In this case, the tax base is our utility bill. As all of us who live in Sierra Madre know, our utility bill is dominated by our water charges. We are also painfully aware that a series of water rate increases has just begun and will climax next July at levels more than 50% greater than where they started. This means that the tax base on which the UUT tax is levied will be much higher than it has been in the past. The simple math is that the revenue derived by the City from the tax will be as high or perhaps higher than it has been even if the rate is lower. To illustrate, let’s suppose that under the old rates the City’s revenue looked like this: Tax base of utility bills -$10,000,000 and tax rate of 10%. The City would receive tax revenue of $1,000,000 ($10,000,000 x 10%). Now let’s see what happens with the new utility rates being 54% higher than in the past: Tax base $15,400,000 ($10,000,000 x 154%) and a tax rate of 7%. The City would receive tax revenue of $1,078,000 ($15,400,000 x 7%). As you can easily see from the illustration above, the claims of some that the failure to maintain the former rates of UUT tax would put critical services at risk is at best silly and at worst deceptive. Vote NO on Measure UUT. The tax increase is not necessary to maintain current revenue or service levels in the City thanks to existing revenue increases already built in. Authors of this Utility User’s Tax (UUT) increase measure will tell that you more tax money is needed. This is clearly false given that the City finished the 2012 – 2013 fiscal year with over $ 870,000.00 in unassigned General Fund reserves. Property tax revenue (income) continues to increase. In the 6 months ending December 15, 2013, over 80 properties sold in Sierra Madre. Conservatively, the resulting estimated increase in property tax income will be an additional $ 50,000.00 per YEAR. Property tax income will also continue to increase as more homes sell for higher prices. Income from the current UUT Law continues to increase as utility bills continue to go up. With large water rate increases scheduled for February and July 2014, the City will collect MORE monthly income at the proposed water UUT rate of 7% than it collected at the 9% rate BEFORE the large water rate increase went into effect. Don’t be fooled! Starting in July 2015, Measure UUT will INCREASE your base UUT to a 10% rate from the 8% rate voters approved in 2008 on all utilities (except water and sewer). That’s a 25% increase! Do you expect a 25% increase in your income in 2015? Of course not. Given the large revenue increases already in effect, you can be sure the City will see increased income far beyond anything you or I will see. Proponents of this 25% UUT tax increase ignore a basic fact: City tax revenue continues to increase in all areas. Revenue increases vary - property values and new unit constructions are increasing assessed (taxable) values. Sales tax revenue, however slight, is increasing. Utility tax revenue increased due to recent water, electric, and cable rate hikes. Seniors and others on fixed incomes will be especially hard hit with this UUT Tax increase. If a resident makes $1.00 more than the UUT low/moderate-income exemption limit, she bears the full brunt of the tax increase. This isn’t fair. The “yes” proponents’ assertion that the scheduled rate sunset under the current law (established in 2008 and reaffirmed by voters in 2012) will result in lower revenue is both inaccurate and deceptive. Measure UUT is designed to fool you into thinking that Public Safety is threatened by a “NO” vote. Don’t fall for it. Vote “NO” on UUT. Measure UUT will only cost me $18.50 a month? How did they come up with that number? Is everyone's utility bill for 7 categories exactly the same? And five years of $222 comes to $1,110. I think I can spend over a thousand dollars of my own money on something better than the highest city employee health benefit costs in California. Many residents just can't afford any more tax increases. It's not fair. Please do the right thing and vote no. It all begins with the city manager. It's time to toss her! We need to redo the way Sierra Madre does business. We're not Los Anegels. We're not even Duarte. We cannot afford to foot the bill for that kind of government. We're a little town of less than 11,000 people, and we need to start acting that way. Highest costing health care plans in California? Have we lost our minds?? I'm not defending Elaine cause she partcipated in the misdoings with the original UUT and the so-called rusty waterpipes etc - so I believe she can't be trusted at all. Here's all you need to know about Elaine. The bigger her smile, the deeper the knife is in your back. Time for a new City Manager? didn't Elaine apply elsewhere recently? As I recall your "twilight" careerist was the man who identified Elaine as the best candidate for the job. I don't think there's a recipe for a perfect City Manager but definitely, hindsight is always 20/20. These people will believe anything the city tells them because they have the fear in them, They don't want to have fear like that so they are going to vote yes just so they feel good abut them selves and doing the right thing. They follow like lambs. If only the people running city hall were as honest and clear as John Lewis. I think I will make him my write in vote. Some people thrive on disasters and want to make every thing a disaster. The water situation is a disaster but lets be smart about this and correct the problem and not let city hall repeat the mistakes that got us into this mess in the first place. The less money they havbe, the less damage they can do. You want slow growth? Take away the money city hall uses to promote over-development. The less the money the city has, the less they can continue to pay the highest health plan benefits in CA. I hope you're wrong 6:42. You have to wonder why the pro-tax people are so quick to use obscenities. Pretty simple Mod. The Downtown Investors Club is desperate to redevelop the Howies Market property that they own. However, they (along with the ALF et al.) want residential water rate payers to pay for THEIR water consumption. That's right folks! YOU are going to pay for the water these developments will consume.....in perpetuity. That's why their so quick to use obscenities, along with fraud and harassment, when their plans are threatened. Whomever told you this is a scam, is telling the truth. This always comes down to the DIC and their downtown real estate investment tragedy. A small group of people with too much influence in this town. It is not our fault they were suckered out of their money. The "Yes On UUT" people are running a Chicken Little campaign. How many times have we seen them do that? Like maybe every two years? A few years ago, when we had the vote about the first UUT, I struck up a conversation with a stranger while we were standing in line at the Book Fair at UCLA. I said I was involved in our local politics, and his response was, "I'll bet City Hall is telling you that if this tax doesn't pass they'll have to close the library and bring in the Sheriffs instead of the local police." Ah yes! Great idea, write in John Lewis. Please don't forget though - only mark three people on your ballot - if you add more, none of your votes will count, and we could end up with Noah and Mickey Mouse! Goss needs to understand that we really don't want him as a Councilmember, I certainly wish he would only be able to serve for 2 years, with his ego he must believe he deserves the council position. Goss is in with the Calderon organization. That is shocking to me. Goss just wants to be a player. That is why he made that bonehead move. Shocking that a Republican would surround himself with the liberal mafia. He should change his party registration. Goss is a DTT. Decline To Think. Has anyone asked Goss why he uses Calderon's accountant? Vote NO on Measure UUT. Let the city know you can't be lied to. to pay some chump more than i ought-er? 9 AM has mad skillz. Dear City: No deal. You can't sell that stuff to me. Simple math: the UUT brings in 2.6 million in revenue. It's a 10% tax on electricity, gas, sewer, telephone, trash, cable TV. And a 9% tax on water and sewer. To get from 1.6 million back to 2.6 million all rates would need to rise over 75% in the next two years. My bills have been going up, but not almost doubling in two years. And I definitely can't afford those bills! I'd be cutting off my cable! I would guess that electricity, cable tv, and telephone make up a much greater piece of the pie than the water bills. Seems a very odd argument for a person who understands "math" to make, that our increase in water bills is going to mean the UUT will generate over 75% more revenue in the next two years, and so a 6% future tax will equal a 10% in today's tax. Also, the city has discovered that as they increase rates, people increase conservation. The overall income goes up, but not way up. "I would guess that electricity, cable tv and telephone make up a much greater piece of the pie than water bills". Well, you would guess wrong. Water is going up more than 50% in the next year & a half. Wake up and smell the freakin' coffee. $800,000 in impact fees from the Kensington alone makes up for the loss. Smell defeat yet? The Wizard of Sierra Madre: "Pay no attention to the boatload of development impact fees that are coming in!!" Sorry 10:27. You will just have to fund your $36,000 health care plan on somebody elese's back. I am voting No on Measure UUT. And so is just about everyone else I know. Go find one of those legendary better paying jobs elsewhere. None of you can seem to mount coherent counter-arguments, yet you all seem to claim the reason you are against the UUT is because the people who defend it don't make any rational sense. It doesn't seem to matter that your arguments never make any rational sense either. 10:51, I don't know how you are interpreting my comment. My point was that most people spend a lot more money on electric than water, on cable than water, and on telephones and cell phones compared to water. Therefore if water doubles its piece of the pie, how much impact is it really going to have on that 1 million difference? How much of the UUT money comes from electric bills? How much from cable? How much from cell phones? Math. So simple, yet people don't seem to be able to comprehend the basics. Even CPAs. 10:54 and 10:56 am, how does the one time impact fee of the Kensington generate 1 million more in revenue every year? Or the Sierra Place Project do this? Are you expecting approval of Kensington like properties every year? Haven't these projects been approved in the past and already go to the regular budget? New construction needs to be over and above historical norms to generate new revenue. 10:57: Reduce all of the health care plans by 30% to get them below the average reimbursement rate. Did that save a million dollars? Then stop saying it's about the health care plan, when that's not the problem. The city put in a paramedic plan and funded the police at a higher rate, and we had a recession. That's the issue. The paramedic program costs about half a million dollars. That's a 2% UUT tax to fund it. Is it worth it to you? If not, where are you going to cut a million dollars from the city budget? Because cutting health plans is a drop in the bucket. Show me your simple math. Otherwise, just admit you don't want to pay this much in taxes and don't complain when things like the pool get outsourced to save taxpayer money. Even if you were right, and you are not, none of this justifies things like $30,000+ health care plans. That is a grotesque waste of the public's funds. The spending needs to be reeled in, and obviously city hall is incapable of policing itself. It is now up to the taxpayers. No on Measure UUT. From the sounds of 11:48, I'd say John Capoccia has joined us. Welcome! PS: I'm still voting NO. John voted no before he voted yes. That kind of thing can give you whiplash. It's also hard on the neck. Does he have a $36,000 health plan? 11:48 also forgets that electricity and gas bills are also going up year by year so there will be increased UUT from those. Plus, the rate doesn't start to drop until 2016, more than a year from now. 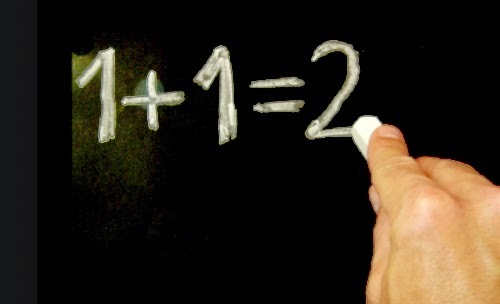 The argument is more than simple math, it is common sense. mr. Troll at 11:48. The reason you don't understand the simple math is because you are incapable of reason. trust me, one needs more than "feelings". To live a successful life. I feel like the city wastes my UUT dollars. I want the sunset rates I voted for in 2008 and 2012. Troll at 1:55 pm, what a coherent and well-researched rebuttal. The point is a valid one, 3:35. "Feelings" are a part of belief. If you know something you don't feel it. Or believe in it. You know it. You must be educated using the Common Core method. I am not convinced that the money already there is being spent wisely. SHOW ME, don't stick some BS propaganda on a 200 word pamphlet on my doorknob or hand me a fluff piece of paranoia in a local rag that is subsidized by city hall. The increase isn't the problem for me- Make it consistent, and play fair. Speaking of fluff pieces of paranoia, how far off the hinges will Looney Views Sue fly this weekend? I hear she is still in a foaming rage over the Noah Pants pictures. Don't forget, Nancy Walsh, Johnny Harabedian and Josh Moran just gave a special UUT tax break to big business water users - "because we can" as Mayor Mean said. In the mean time, you taxpayers vote YES. Because the UUT 3 say so. The Queen and her Royal Jesters. Great, let's talk about the 1 million dollars in serious structural policies that need to be fixed, and let's talk about fair rates that give a break to the needy and not to special interests. Let's find other city budgets that are done better, identify what you think are out of whack salaries and make a coherent argument about who would take less for the same position. Let's talk about fairer taxes to pay for the things we actually want paid for. They should show us how our money is being well spent, well they do show us where our money is spent, and they tell us their justifications, but it could be more comprehensive and clear. However, the counter argument appears to be the same ole same ole. Where's the budget with the cuts? Where should the cuts be? What is worth paying for and what isn't? How much should we be taxed and for what things? You'd have thought the city would have learned this lesson in 2012. Thick heads are slow to learn, I guess. I wonder if they understand Just how little they are believed these days. I love how we need to fix everything in one year when it's been neglected for 30+ years. Or else it'll be a disaster!! Time would be better spent asking Bart Doyle, et al, why they didn't raise water rates in 2003 so we could have financed a 30 year amortized water bond instead of 17 years interest only at 5%. Instead of screwing the 2014 taxpayers with a 50+% water rate increase to catch up. Maybe Susie Henderson can print pictures of Bruce Inman's leaky pipes again. Of course, the UUT doesn't go to water /sewer infrastructure, but that hasn't kept the "yes" clowns from saying we need a 25% UUT tax hike to pay for water pipes! Duh. I just received my Water Bill with it were several fliers. One flier from the city states a family of 4 grossing less than $65,200.00 is exempt from UUT. Also the meter bi monthly charge is reduced $20.00 a nice savings of $28.00 this month for me as I am poor. And that savings is on the water bill alone with the other utilities included my savings is close to $45.00. 2. If eligible, file for the UUT exemption. My sewer rate increase went from $22.20 per 2 months to $28.09 per 2 months in the last water bill. Did you notice your? Yesterday I got a flyer telling me of information meetings and the public hearing on the Sanitation District rate increases following the Proposition 218 process. Again you have to vote NO or a non-response is tallied as a YES. You can mail in your protest YES or turn it in at the public hearing, which by the way is May 28 at 1:30 p.m. (anybody off work that day to attend a hearing. No? Too bad you don't get to participate in this democratic process! So I called the 855-240-9506 number (the website: www.lascd.org and the e-mail: rates@lascd.org) to ask how to apply for a rebate when calculating usage for the fiscal year is impossible in Sierra Madre. None of my bills tell me what my water usage is from July 1 to June 30 in the fiscal year because of our bi-monthly, bifurcated east/west of Baldwin billing proceedures! You send in this record with the filled out the form downloaded on line (if you don't have computer skills you can call the number above and they will send you a copy through the mail). I am going to suggest that the Tattler readers do this. But of course the question remains: this is so onerous that most won't and the rebate will be lost and the hearings will not be attended and the NO votes will not get mailed in and the rates will go up again! By the way, you pay for sewer consumption on the water that goes to you through water meter calculation, there are no meters on your sewer. So, even if you conserve at your household by any sort of gray-water or pre-heat water, your meter has still charged you for it as far as the sewer calculation is concerned. If course you use less and that is the only way the sewer flow usage is less. Then you have to get your water meter readings for those fiscal years and apply for a rebate. Did the City ever think that the citizens would follow up on this and thereby there WILL be less UUT collected? That seems like a lot of work for $5.00 a year. As far as the rebate they state "if your actual water use is significantly less than our estimate,you may be eligible for a rebate......" No mention of how large a rebate? You also get nabbed for water that goes into your pool and in you yard. How can the City politic on the taxpayers dime? Take the initiative and gather a group of people who share your outrage, and defeat them! I am reasonably certain the Mod can direct you to some people in town who would be happy to help you fight this. Be proactive and make a difference! I have a question. We used to get around a million dollars in revenue from property taxes for the CRA (Community Redevelopment Agency). The CRA was taken over by the state government. Do we still pay those additional property taxes and that money goes to the state? How were those taxes levied in the first place? That cra money was what Elaine and Karin were using to pay some city hall employees salary. Which by the way was illegal. Slush fund for featherbeddibg bureaucrats. Brown was right to deep six the CRA. It started a chain of events that will now lead to real reform at city hall. It is long overdue.